This colorized rubber rat will bring a little color to your creepy rodent display. Black rubber rat has a mustard yellow color on the back side and green tipped whiskers. These added accents will make this rat stand out among the rest. Squeaks when squeezed. 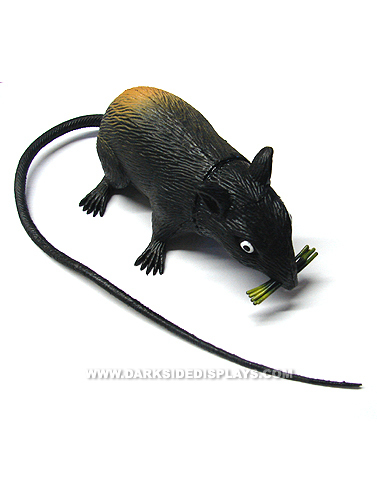 Colorized Rubber Rat has a 6" body with a 12" textured tail. 1 pc.